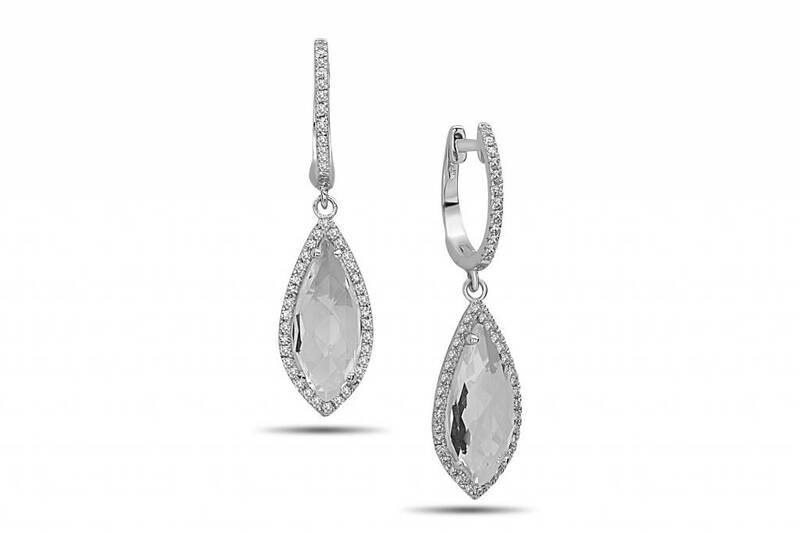 Ladies white topaz and diamond drop earrings of classic styling. The earrings are crafted in 14k white gold and secure with lever backings for safety. They are set with two marquise shaped white topaz that are surrounded by a micro pave set diamond halo. 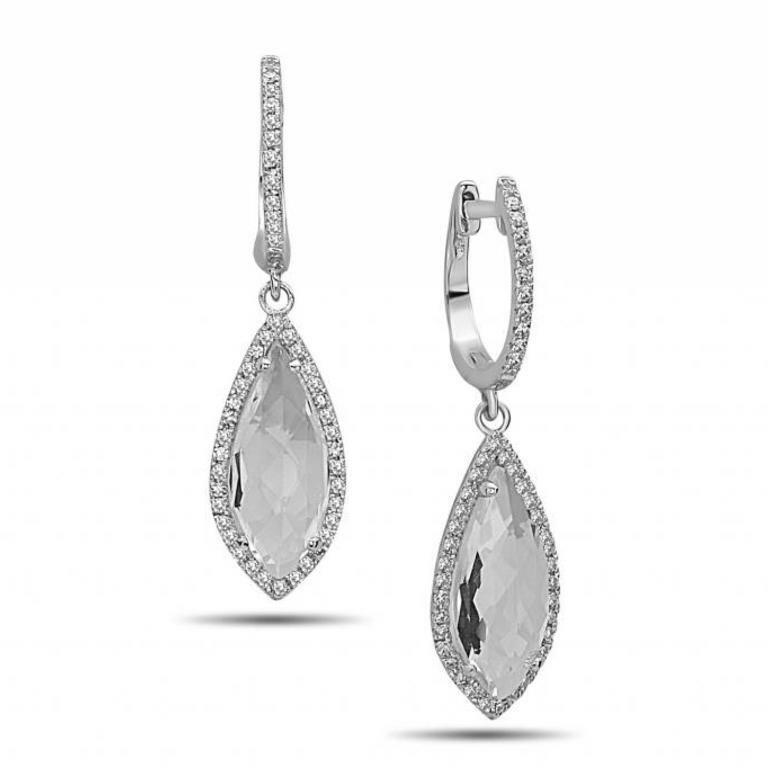 The white topaz have a combined gem weight of 2.73ct and the diamonds have a combined weight of 0.24ct.